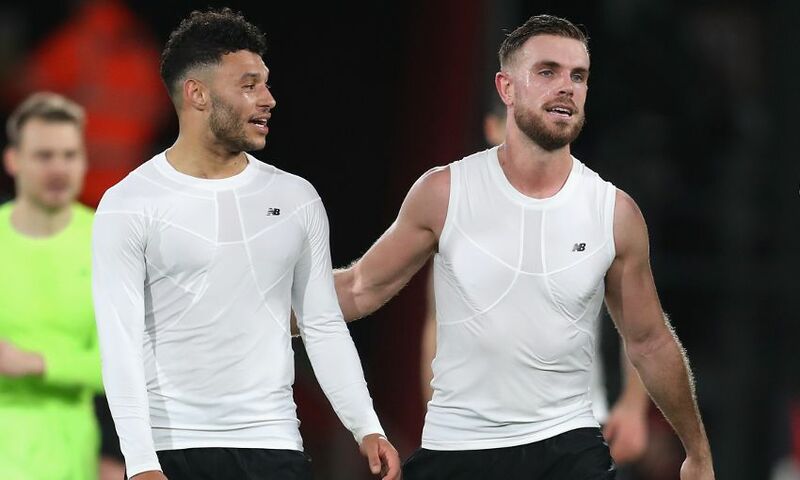 Jordan Henderson has paid special tribute to the positive approach Alex Oxlade-Chamberlain is taking to his long-term injury rehabilitation. Oxlade-Chamberlain is expected to miss the vast majority of the 2018-19 season as he recovers from the multiple ligament damage he sustained during the first leg of the Champions League semi-final with AS Roma last term. When he does return to action, the midfielder will be welcomed back as the same ‘massive, massive player’ he had become for the Reds before the setback, according to Henderson. “It’s very difficult for Ox. The great performances he was putting in before he got injured made it one of the best periods of his career so far. So to get injured for such a long time is hard to take,” said the captain in the latest edition of the official Liverpool FC magazine. “The type of lad he is, he’s very positive, very good to be around, and he’s remained like that. I’m sure he’ll have his moments at home and maybe here at Melwood when the lads aren’t here, but whenever I speak to him he’s always positive and he always looks good. “He’s a great lad and I just hope he can keep getting stronger and get back to us as soon as he can, because he’s a massive, massive player for us. “I’ve played with Ox for a long time, from England U21s upwards, and I knew how good he was then. It was a massive bonus that we signed him and I know he will come back stronger. When he does and he gets back into his rhythm, he’ll be straight back in. Pick up the new edition of the official Liverpool FC magazine in stores now or subscribe online by clicking here.